As the Head of Youth Services at the Merrimack Public Library in New Hampshire, conducting community outreach is a regular part of my day. Like many libraries, we have faced yearly budget cuts, despite an increase in library usage as local families depend more and more on free activities and resources. For us, building relationships with local businesses and organizations is critical to our ability to serve our families in a successful, fulfilling way. We benefit in several ways from the partnership we forge: 1. 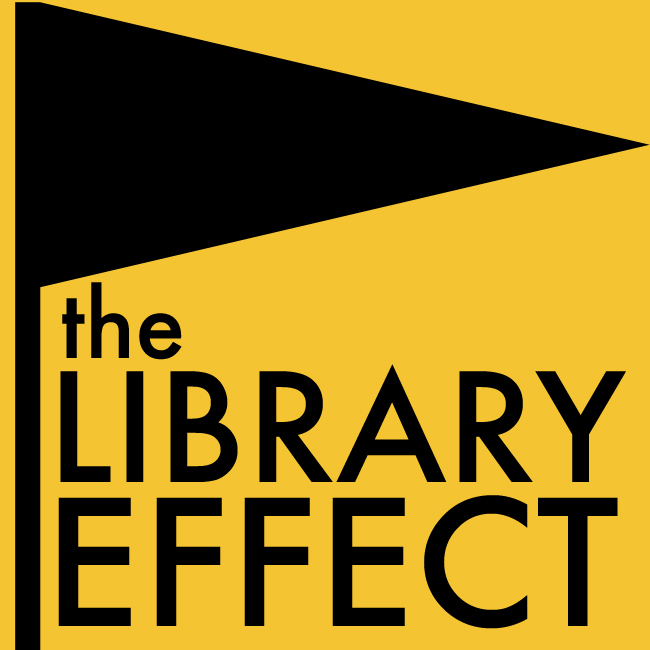 We save or gain financial resources if our partners donate materials or cover costs, 2. we strengthen relationships with current library supporters and gain new ones, and 3. we bring new information and skills to our patrons that we might not normally be able to offer. Libraries aren’t the only ones benefiting from these collaborations, however. Let’s take a look at what is in it for local businesses, non-profit organizations, municipal departments, and the general public. In Merrimack, the need of one new business was simple: Meet new customers. Chris Lepkowski, co-owner of Merrymac Games and Comics, contacted our library director, Yvette Couser, before his business even opened its doors in hopes of collaborating with the library. Once the store opened in the spring, he met with Yvette and me to discuss the possibility of donating children’s comics to circulate as part of our collection. This is a fairly novel concept for many small-to-medium size libraries, as single-issue comics can get trashed or lost easily, and the cost of supplying them isn’t worth the hassle. We jumped on board eagerly, and are working with Chris to determine the best way to house them in our overstocked children’s room. For Chris, the costs are small, but the benefits are huge. As a major donator to the collection, Merrymac Games and Comics will have its name and logo displayed on each comic that is donated, gaining exposure to our patrons. Additionally, the library is now a stepping stone for new comics readers – kids can try out a few series here at the library, and as soon as they’re hooked, they know where they can start a collection. With a similar goal in mind, owners Rick Giroux and Linda Ryan of Merrimack Karate suggested that the library be the beneficiary of their annual “Kick-a-thon” fundraiser. For the past several years, the funds raised by the school have provided new furniture in our children’s room, expensive science, reference, and audio books, and special events celebrating reading like book-character visits. The school has also been extremely generous to our summer reading program, providing free classes for any kid that finishes their reading goals. Rick and Linda care very much about kids reading and hoped to, as Linda puts it, “encourage good reading habits in the kids of Merrimack.” But the collaboration had great benefits for the business. “We see our relationship with the library as a win-win-win proposition.” Linda told me. “We have had many new students come into our studio through the summer reading program and we hope [we have] provided an incentive for more kids to read during the summer.” The cost of making this connection was very low for the school, as the funds were garnered through a charitable fundraiser by their students. Business owners aren’t the only folks who can gain from a relationship with the library – nonprofits and other town departments can too. When the Merrimack Parks and Recreation department needed to boost the waning popularity of their Summer Concert Series, they reached out to the library. This same summer, I hoped to host a construction trucks program at the library to compliment our “Dig Into Reading” theme. When I contacted the town’s Public Works Department, Operations Manager Adam Jacobs responded enthusiastically. They squeezed four trucks into our parking lot for “Big Truck Day,” and over 150 kids and parents came to sit in the driver’s seats, beep the horns, and learn about the enormous vehicles. Other recent partnerships we have established include: providing “New Residents” welcome bags with the Merrimack Chamber of Commerce (which include information on the library and copious coupons and certificates to local shops), partnering with the Merrimack Garden Club on events and landscaping, and bringing in local expertise for workshops like a model-rocket building class (taught by Model Aircraft Fabricator’s shop), a cupcake decorating contest (judged by owners of The Cupcake Conspiracy), and adult art-classes taught by painter Christine Ryan. I hope these examples have shown what collaborating with your library can offer your business or organization. Whether you need exposure to a new customer set, a reputation as a generous community player, or a boost to staff morale, working with your public library (or school library, or special collections library) is an excellent place to start. If you don’t already have an idea of where to start, there may be a pre-existing need that you can help meet. Contact the director of your local public library branch today. Liz Gotauco is the Head of Youth Services at the Merrimack Public Library, where she is in charge of programming and materials for both children and teens. Previously, she worked as the Teen Librarian at the Warwick Pubic Library in Rhode Island and the Children’s Librarian at the Middleborough Public Library in Massachusetts. She is a graduate of the University of Rhode Island, where she studied Library and Information Studies and Theatre. Do you have a story to tell about an effective partnership with a library in your own community? Whether you are a resident, business owner, member of an organization or group, or connected to a library, submit your story idea via the Submissions page and let’s talk about it. If you would like to offer feedback on the article above, please do so via the Feedback page. This entry was posted in Community Partnerships, Impact, Winter 2014 and tagged Liz Gotauco, Merrimack, Merrimack Public Library, New England, NH, USA. Bookmark the permalink.